You do not actually need an unlimited data plan. The thing you need is a data plan with a conscience. Or quite simply, an excellent iPhone cellular data tracking app to keep a check on the data consumption in your iOS device and prevent it from running wildly. 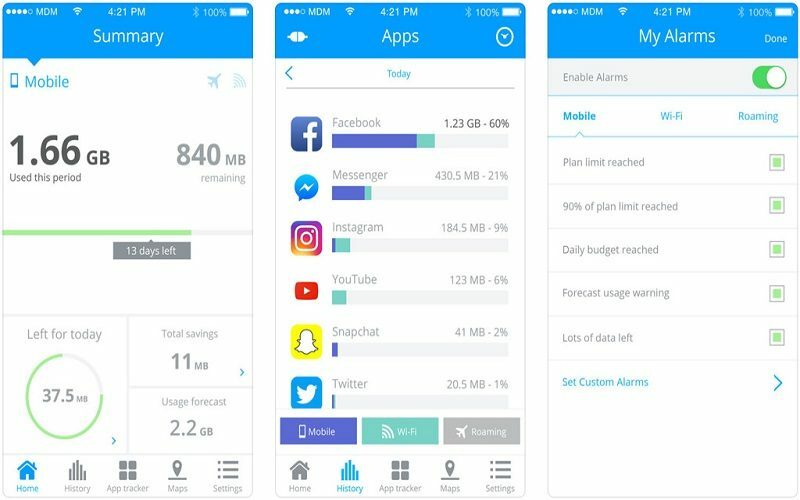 There are many apps are available in the App store but we selected the Top 10 Best iPhone Mobile Data Usage Tracking Apps for you. 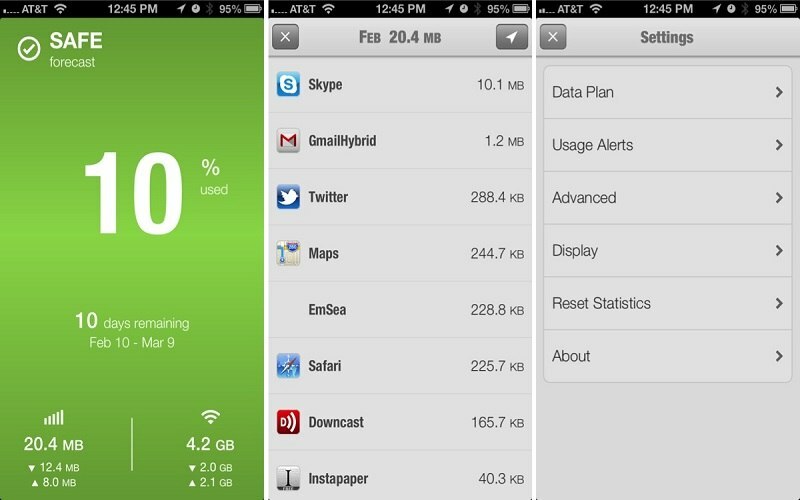 DataMan Pro is one of the best iPhone mobile data usage tracking app. It tracks your cellular along with Wi-Fi usage. DataMan Pro also maps down the location of your user data and also maintains an hourly and daily record of usage. The app also predicts the data usage within the limits, by which the users can make use of the data accordingly. It suggests the consumer with appropriate data plans which are based on the usage history of the data. The best feature of DataMan Pro is that it doesn't reroute any data through the proxy or change your configuration profile. Nothing is transmitted to another location. Your entire usage information stays in your device, even your app usage. My Data Manager is a reliable and best iPhone mobile data usage tracking app. 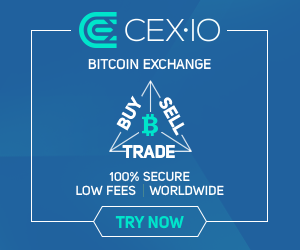 Besides from tracking data, it notifies the user once the hidden applications try for connecting to the server of the user. With the assistance from Wifi, it can measure your usage data precisely and also keep a track of it. It keeps a record of your usage data habits. It also notifies the user by an alarm about the data limit and analysis the web browsing and applications data. The most effective feature of My Data Manager is that you are able to connect multiple devices to track data. If you're on a shared plan along with your spouse and kids, connect everyone to the shared plan and keep an eye on what everyone is using. 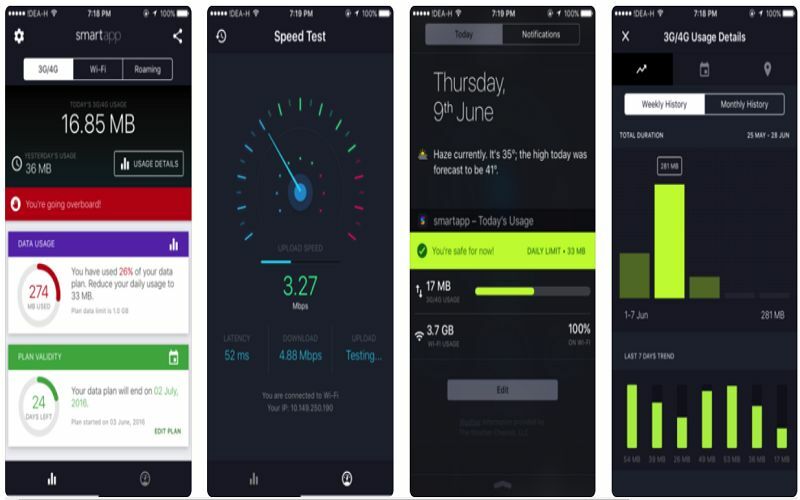 Advanced Data Usage Tracker is another best iPhone mobile data usage tracking app and exactly you can do the perfect control over your 3G/4G and Wi-Fi usage. You are able to check out the daily, weekly and monthly trend analysis to have a clear view of data usage. The most effective feature of the smart app is the speed tester. With the tap of a key, you will find out the present upload and download speed of any network you're on, including your cellular network. After the data is analyzed, the smart app will provide you with a report card on your internet speed. 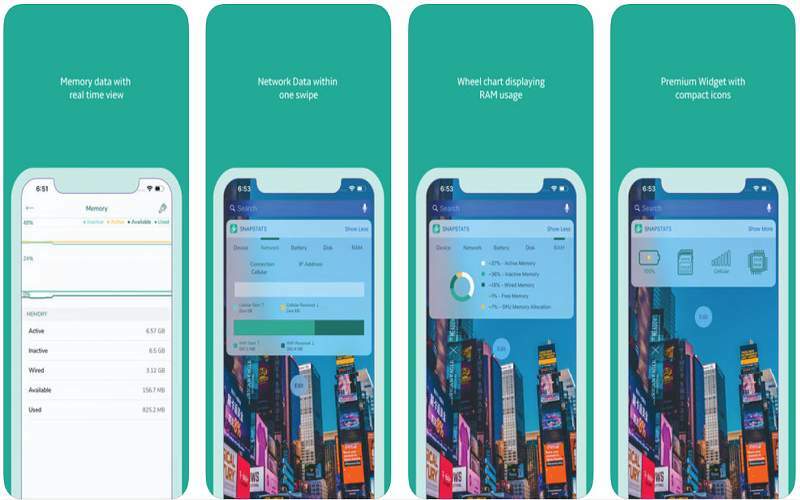 DataMeter is the best iPhone mobile data usage tracking app and it is up to the job when it comes to tracking cellular data (2G, 3G, 4G) or Wifi accurately. It gives you real-time traffic data usage. As the data usage tracker doesn't run in the background, it won't eat lots of battery in your iOS device. You are able to view the monthly summary chart of the data usage. Browse the history of Data/Wifi usage and get the actual insight of its consumption. The DataFlow is used to track both your cellular and Wi-Fi data with ease. The app lets you track all the sorts of data plan like monthly, weekly, daily, 30 days, non recurring etc. It resets the usage plan automatically on bill cycle date. 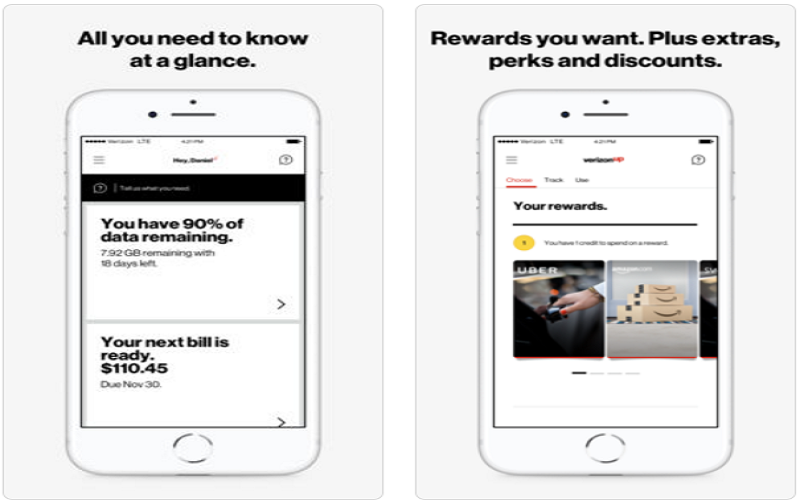 Browse the|Read the data usage history to see the usage pattern and get to understand the tips on how to put a break on the unnecessary consumption. There's also a network monitor to allow you to easily find if it's running perfectly. Additionally, you are able to select the multiple theme styles to customize the appearance. So DataFlow is another best iPhone mobile data usage tracking app. SnapStats is highly useful and the best iPhone mobile data usage tracking app. It does far more than simply tracking the cellular or Wi-Fi usage in your iOS device. It enables you to quickly browse the important stats of your device such as you are able to instantly discover the device model, boot time, battery usage, disk usage, data usage, and more. With the Today widget view, it allows you to access the primary stats of your iPhone. You can also use it even offline. 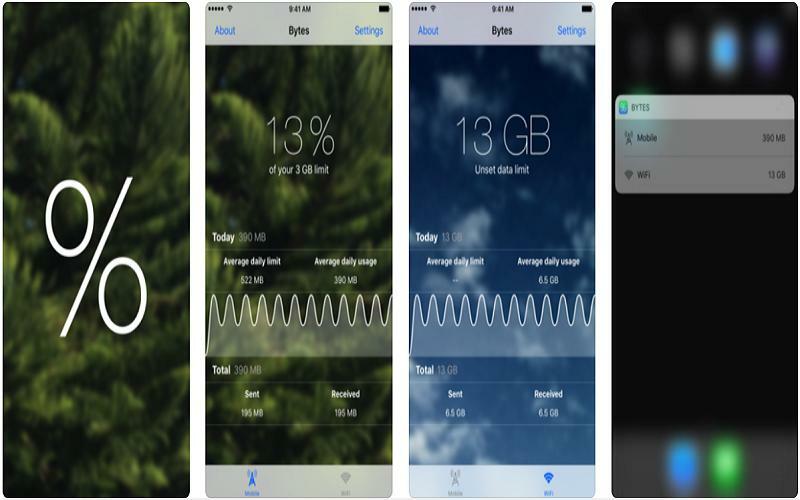 With the clean UI and simple, Bytes looks very familiar and the best iPhone mobile data usage tracking app. It's effective at tracking both mobile internet data and Wifi usage. Having monitored your daily data usage, it notifies you in regards to the pace with that you are consuming the data. The widget may be configured to exhibit either daily or monthly data usage. Utilizing the background app refresh feature of the iPhone, it may track the data usage faultlessly. 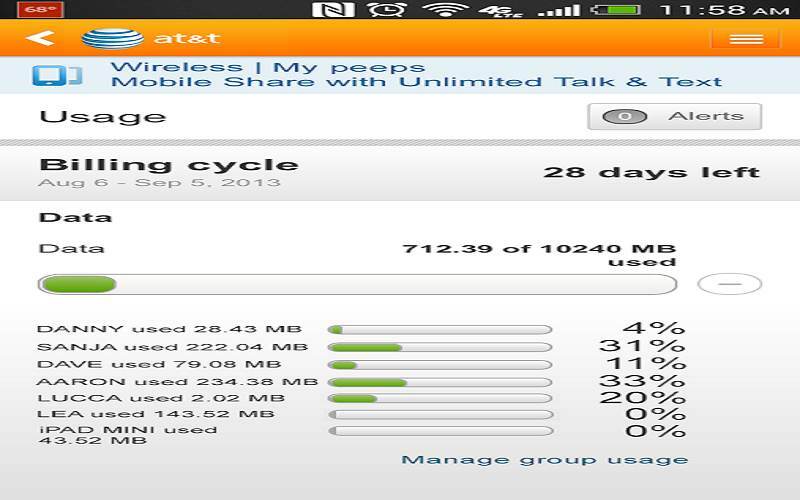 AT&T subscribers can utilize the myAT&T app to keep together with their accounts, view official data usage reports for his or her accounts, and perform other account administration functions. Information for all accounts can be obtained on the main screen of the app. You are able to monitor your usage and also manage the wireless account. Therefore it is another best iPhone mobile data usage tracking app. 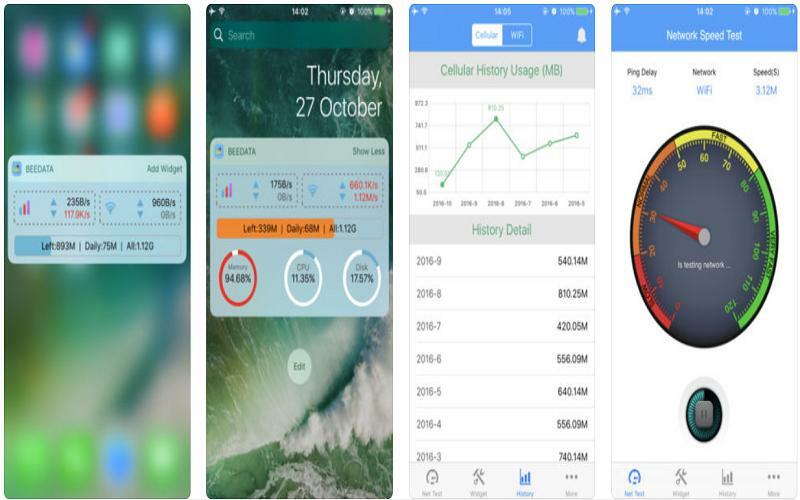 BeeData Widget is one of the best iPhone mobile data usage tracking app. 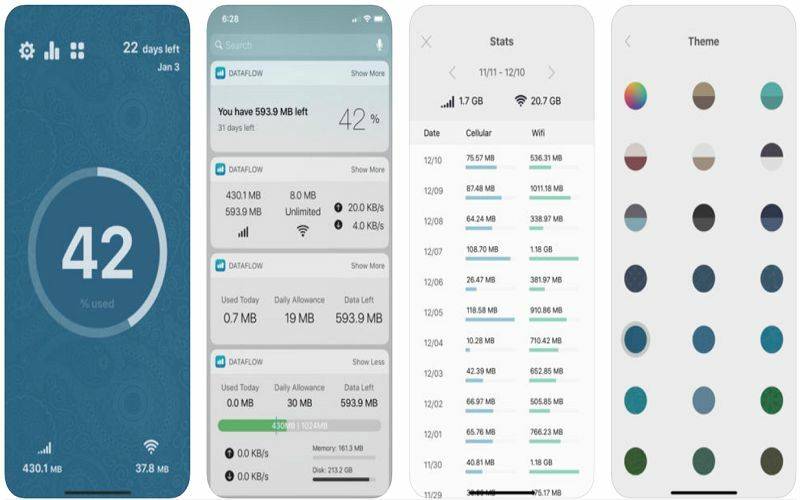 It is a lightweight data and Wifi usage tracker app. The widget can enormously assist you to in controlling the data usage in the device. It monitors the real-time along with monthly data usage. The historical charts and monthly summary chart show the data usage in detail. Last but not the least My Verizon is the best iPhone mobile data usage tracking app. It tracks and manages your data very well. You are able to review your data usage with assistance from its record-keeping feature. Several devices can link to the application. It performs efficiently and doesn't give chance to complain.